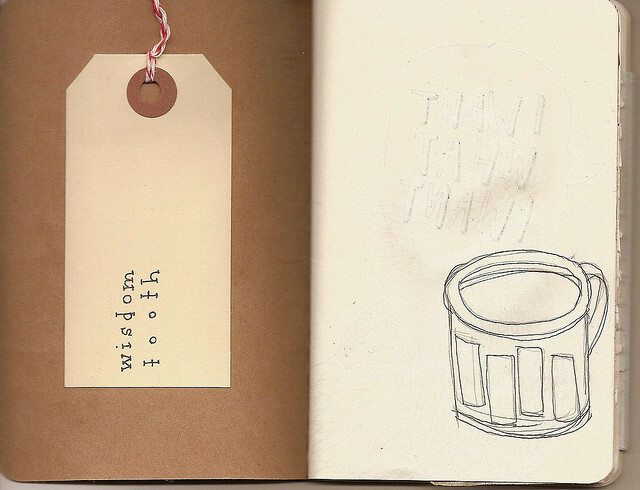 WISDOM TOOTH: EVENTS IN THE UK: starting this weekend! FREE LAUNCH EVENT (donations welcome!) for Troublemakers: Queer//Feminist Academic-Activists in Cultural Theory & Activism. A new network for activists, academics, researchers, queers, feminists and misfits to change the way we write, tell, and make histories from zines, to academia, to the culture at large. This panel will discuss DIY feminist cultural production as a vital, albeit marginalised, arena of feminist activisms. Kate will discuss the role of zines as both an indispensable tool for sustainable community-building and empowerment, as well as a form of democratic art, in various New York City subcultures. Zines have functioned as provocative political and artistic tools for centuries. Essential to communication in the riot grrrl movement of the 1990s (as well as numerous political movements before it), zines continue to play a crucial role in communications between activists and artists today. Melanie will discuss the role, importance, and act of creative sociopolitical history projects in relation to her collaborative radical art project ‘Shape & Situate: Posters of Inspirational European Women’ that will also be on show. Melanie will also explore further other examples of art that engages with the politics of memory and socio-political history, in the context of the importance of us documenting, analysing, and publishing our own cultural and community histories. Julia will discuss how DIY music offers a distinctive set of strategies with which participants can construct subversive genders, sexualities and feminisms. 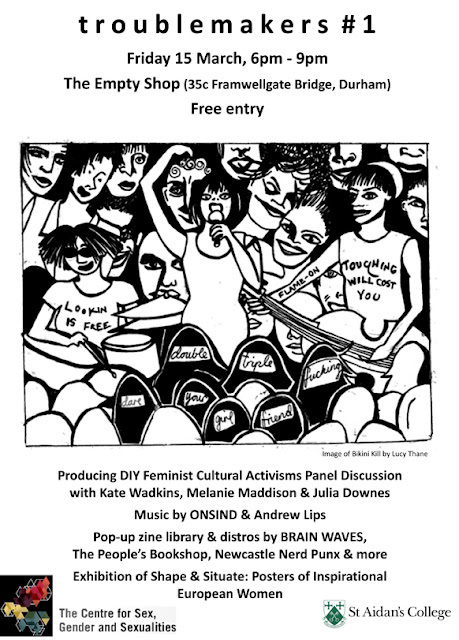 Using examples from riot grrrl and queer feminist music cultures DIY music is theorised as part of an enduring historical continuation of radical world-making carried out by diverse groups including non-white, working-class, feminine and non-heterosexual (or queer) subject positions. O n s i n d is an acoustic pop-punk band from Pity Me, Durham made up of Nathan and Daniel. They have been playing shows together since 2007, developing a peculiarly North Eastern brand of energetic, melodic, acoustic pop-music coupled with uncompromisingly political lyrics. Onsind have releases on legendary US DIY punk label Plan-it-X Records (Andrew Jackson Jihad, Heathers, Antsy Pants), as well as Durham's very own Discount Horse records (The Middle Ones, Ace Bushy Striptease, Colour Me Wednesday). Recommended If You Like: Against Me! The Beautiful South, RVIVR. A n d r e w L i p s is a queer song-writer who has been releasing albums endlessly since 2006. Blending together auto-biographical tales from sexuality, travelling, home life to sexual assault and body issues while delivering them in a catchy up-beat fashion. Not a political singer, just a nerd trying to work through their personal hang ups in life. Andrew has self-released several of hir albums and also worked with Plan-It-X Records. People who enjoy making out, having big crushes and crying into their pillows will like this. Fans of Your Heart Breaks and Kimya Dawson will dig this too. Shape & Situate is a zine of posters made by artists and DIY creative folk from within Europe, each poster highlighting the (often hidden) history and lives of radical inspirational women and collectives from Europe, as a way of connecting us with the past and the present through a dynamic cultural (re-)articulation of these women’s lives. Kate Wadkins is a Brooklyn-based writer and artist. Of late, she is working in social media, assisting on "The Punk Singer," a documentary about Kathleen Hanna, and thinking about creative ways to approach Hurricane Sandy Relief. She writes about feminist cultural production, primarily in punk scenes. In December, Kate published "Freakin' Out: Remaking Masculinity through Punk Rock in Detroit," an article in "Punk Anteriors," a special double issue of Women & Performance: a journal of feminist theory. Ever a zine enthusiast, she curates BRAIN WAVES: a zine and print collection, and co-edited International Girl Gang Underground, a compilation zine about reverberations of the riot grrrl movement in the wake of its legacy. Kate is a founding member of For the Birds Collective as well as a classic virgo, coffee enthusiast, bass player, and rabble rouser. Melanie Maddison (Leeds, UK) collates the zine, ‘Shape & Situate: Posters Of Inspirational European Women’ (4 issues, 2010-2012). Melanie has also produced/created the zines ‘Colouring Outside the Lines’ - a zine featuring interviews with contemporary female artists, 'Taking Cultural Production Into Our Own Hands', 'Reassess Your Weapons', 'With Arms Outstretched', 'UK Ladyfest Artwork Zine', and 'I'm Not Waiting: Doing It Yrself Now', as well as writing for www.pikaland.com and Aorta magazine (USA). She has curated and been involved with many zine-related art exhibitions including ones at The Women’s Library, London; Gallery II, Bradford; Space Station 65, London; Ladyfest Leeds; Victoria Baths, Manchester; and The New Museum, New York. She is also a regular contributor to various UK-based zine fairs and events. Melanie is currently working on a zine project, ‘Remembering Who We Are’, alongside Lindsay Starbuck. The project is looking at individual’s personal histories to see how we come to be the people that we are, with the politics that we have. It looks at social and political history on a personal level; things that individuals have experienced in their lifetime that have influenced and activated them, or formative events that have made people think about the world in a different way – collating stepping stones for inspiration and encouragement. The project aims to challenge the myth of the ‘perfect’ activist who comes to their work fully actualised; and aims to remember some of where we've come from in order to show how our unique experiences have led us to work to create change in the ways that we do. Julia Downes is a Research Associate in the School of Applied Social Sciences at Durham University where she is currently working on a project on domestic violence. Julia's writing and research has also focused on riot grrrl, queer feminist communities, cultural activism and all-girl bands. She has lectured on popular music and society, feminist cultural activism and queer girl cultures at the University of Leeds, University of Derby, University of Birmingham and Durham University. Julia has been active in DIY queer feminist cultural activism for over 10 years within Manifesta, Ladyfest Leeds, Ladies Rock UK, Star and Shadow Cinema and even clean hands cause damage and as a drummer in the bands The Holy Terror, Fake Tan, Vile Vile Creatures and the Physicists. A zine (pronounced ‘zeen’ like maga-zine) is a magazine or booklet that you make yourself, and give away, swap or sell for the cost of printing. What’s the point? To share your knowledge, or your feelings, or your experiences in a way that’s more tangible than blogging, less commercial, and more immediate than print media. The focus is usually on content, but designs, styles and print methods vary widely and can look very interesting and unusual! With short runs, some zinesters have the time to hand print covers, sew bindings, or colour in pages individually. 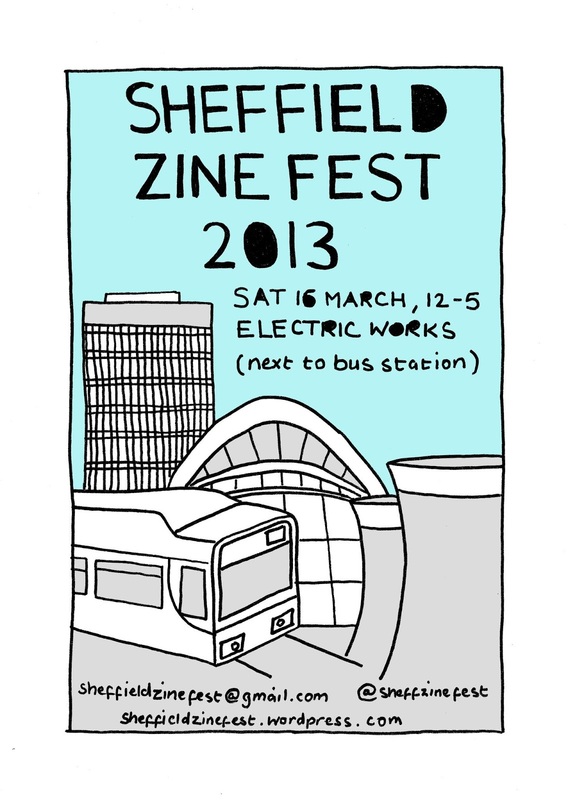 Bettie and Chella decided to hold another zine fest in Sheffield after both attending the previous one at Brezza in 2011. Unfortunately, that venue closed down and the original organisers didn’t reply to enquiries about starting up another one, so we thought we’d do it ourselves!